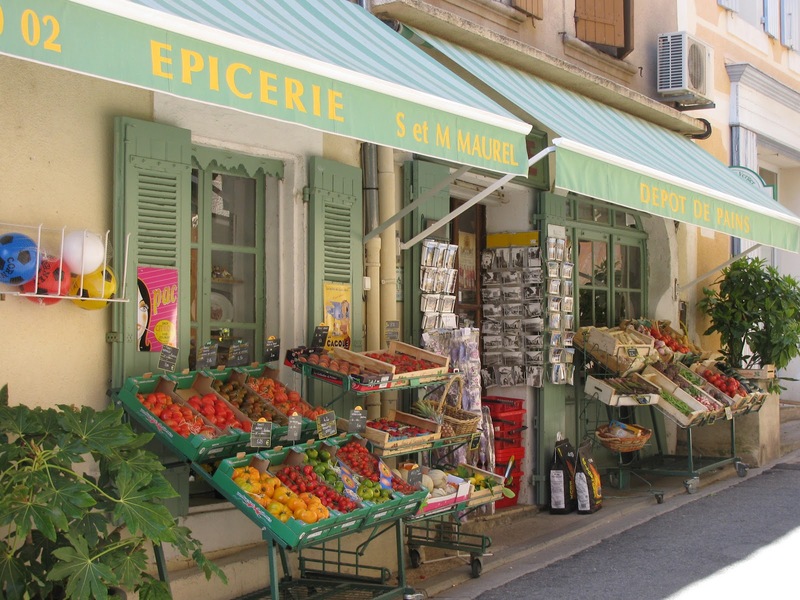 One of the very first French words I learned was 'epicerie' or grocer's shop. Along with coquelicot (poppy), it remains one of my favorites, too.An epicerie is like a corner grocery store where you can buy a bit of everything. This one in Goult is tucked away at the end of the main street. You can buy something for everyone here: tourist trinkets and postcards, fresh produce, flowers, meat, cheese, wine.... even soccer balls! There's something quintessentially French about an épicerie - not quite the same as a British corner shop. Alas, they are dying out as les grandes surfaces take over. Join me as I explore my new home deep in la France profonde. Art, history, stories, friends, adventures and misadventures..it's all part of the experience. Share my life as I share my experience in France with you!